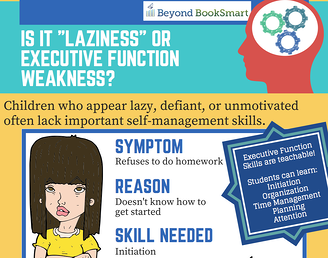 Parents often begin to see signs of Executive Function challenges in their child in elementary school, when the child faces new expectations for self-management. While in elementary school these challenges may seem relatively minor, they have increasing relevance as a child matures, ultimately playing a central role in shaping student achievement. Unaddressed, a deficit in the critical foundational area of Executive Function skills can have long-term effects on a student’s success and, consequently, self-confidence as a learner. These skills form the basis of a smooth transition to middle school, where academic demands increase rapidly. What Executive Function Skills are Expected in Elementary School? While some children seem to develop these skills seamlessly, many struggle and benefit from a level of direct 1:1 instruction and support that is often unavailable in most elementary schools. Find out how Executive Function coaching can benefit your child in elementary school. Our daughter loved her sessions. Over time, Rachel helped our daughter become more aware of her good and bad work habits, and overcome some of her more difficult challenges. She developed a homework schedule and daily routine and after a short while, getting school work done (or getting anything done) just happened more easily. Our daughter's grades went up and I got great feedback from her teachers.